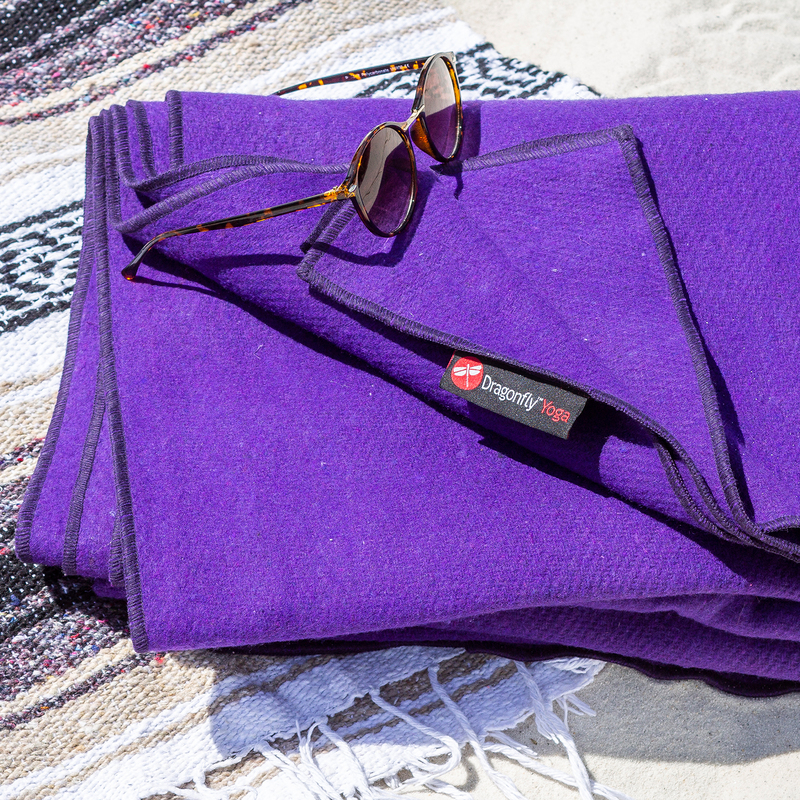 Wool Blankets are so warm, heavy, and extremely durable — making them the perfect material for a yoga blanket. The Dragonfly Wool Blanket is made from soft (itch-free), heavy-gauge recycled wool. This blanket folds evenly and is nice and sturdy — making it perfect for supporting yoga poses when rolled or folded. Or, use it to stay warm and relax in savasana, healing, or restorative poses. To clean, machine wash cold and tumble or hang dry. View all Dragonfly products HERE. This blanket is not only good for restorative yoga, I take it with me camping because it''s super big and super warm. Not too scratchy, either ... I use wool laundry detergent that I found at the Dollar Tree and I don''t know if that''s it but my blanket hasn''t pilled at all.